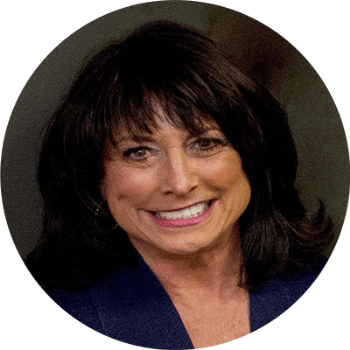 Joan Glasser Magill, Founder and Broker of Residential Realty Group, Inc. is an accomplished nationally known female entrepreneur of for-profit and non-profit companies and a co-author of a nationally selling book. She is known as a visionary, creating and building niche businesses from start-up, filling voids in the marketplace, regionally and nationally, starting her business career at the age of 19. She is a graduate from University of Maryland, College Park with a BS degree as an educator. Her management company evolved out of starting a centralized credit check company for prospective renters, which had never been done before, resulting in improving cash flow for landlords. She found herself serving in leadership positions on various professional association councils, and board of directors, however, persevering through difficult circumstances, having been the only women on many of these boards. Her leadership quickly earned the respect of her peers with her uncompromising work ethic and proven success. Being at the top of her industry, she is a national consultant and expert witness in high profile cases. She is an active board of director for several organizations and a past trustee on the leadership council of her temple. She is passionate about empowering and creating sustainable entrepreneurship opportunities for women and children and promoting the best products and services. She cares for people, property and the environment and has affiliated herself with those opportunities to best serve her clients. Joan holds a Real Estate Brokers License for Maryland; is a Licensed Community Association Manager in State of Florida; and is a Licensed Maryland Home Improvement Contractor. She is a member of: Community Association Institute, Chesapeake Chapter; National Association of Home Builders; Institute of Real Estate Management; National Association of Realtors, Greater Baltimore Board of Realtors; National Association of Professional Women; National Association of Women Business Owners; World Wide Association of Female Professionals; Cambridge Who's Who; Better Business Bureau. Louise Hood, CEO and Partner for Residential Realty Group, Inc., is an icon in the community management business. She is well known for her integrity and work ethic making her one of the most dependable women in the business. Her no nonsense approach is respected by her peers and professionals who she has earned not only their friendships, but a resource for consulting on major issues facing common interest communities. She has been with Residential Realty Group, Inc. since 1985 where she started as Executive Vice President and became an intrinsic part of a dynamic partnership with Joan Magill. She quickly earn the esteemed position of President. Louise now oversees 3 billion dollars in real estate management. She is responsible for growing RRG to its present portfolio, through diligently running the daily operations and staff of the company. Louise started her career working for the best property owners and landlords in the industry. Her wealth of knowledge has given her the ability to see beyond surface problems and get to the root of the issues, saving the properties huge amounts of money. She has taken troubled apartment buildings and turned them around to have a positive cash flow so the owners could sell their apartments for a profit. She has successfully taken apartment complexes through the conversion process into condominiums. Louise has been an active member and past President and Board of Director for the Community Associations Insitute. She has served on the Maryland Legislative Action Committee and was involved with the signing of the Leon Priority Bill under Governor Martin O’Malley. 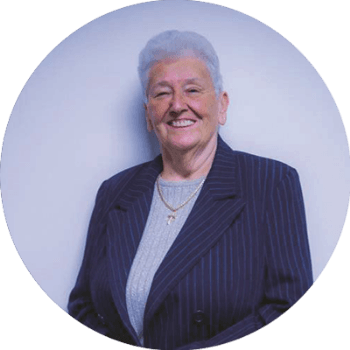 Louise's hands on approach makes her accessible to her clients and customers anytime which has resulted in having long term relationships of trust and caring. If you want something done right the first time, she is woman. Louise was included in the 2017 America's Registry of Outstanding Professionals, which recognizes individuals who have demonstrated leadership and dedication in their professional industry. Jodi has been with Residential Realty Group, Inc. since the 80’s. She is a member of the Executive Team and has developed the accounting department from handling hundreds of accounts to thousands. Her accounting experience has enabled her to work with our clients and provide flexible, customized financial systems for the properties. RRG’s books are balanced to the penny every month. Jodi oversees the installation of new software and works with the IT team to assure we are providing the most detailed reports for complete transparency. She is responsible for overseeing the Audits and works with properties CPA’s. Cathy Price is one of the three recently appointed Executive Vice Presidents at Residential Realty Group, Inc.
Before coming to RRG, Cathy began her career in rental management in 1991; managing over 700 apartments. She came to RRG in 1997 to fill an executive assistant position. In this role, she oversaw the host of assistants within the office and worked directly under the owner, Louise Hood, when Louise was still managing her own portfolio. Cathy was quickly promoted to Community Association Manager in 2002. She continues to manage most of the same portfolio 15 years later with several additions along the way. Cathy’s many areas of expertise include, but are not limited to, large scale project management, a vast knowledge of community association insurance, and working with communities in financial hardship. In addition to her executive and management positions, she is also our veteran social coordinator and oversees our social media accounts. Charlene has been with Residential Realty Group, Inc. since the 90’s. She is a member of the Executive Team and has grown with the company beginning as our “mail clerk” to overseeing our New Development Division; educating Developer, Builders, new homeowners and new Board of Directors about community living. She is instrumental in providing, not only budgetary aide to Developers but working with the Developer Board to grow the community. In addition, Charlene holds two Master of Science degrees one in Family Consumer Science and one in Human Resource Management. She also belongs to the Maryland Legislative Action Committee(MD-LAC) of the Community Association Institute for Association Management and is the Government Affairs Director for the Carroll County Society of Human Resources Management (CCSHRM). Tracking local, state and federal legislation whether new or amended regulations for both the Community Associations and employment law/workplace regulations and reporting on them to board of directors and our company.